We're returning to Briarlake Baptist Church for the 4th annual Family & Life 5K with NEW finish line party! Since opening our doors in 2007, Atlanta Pregnancy Resource Center has had over 13,000 client visits in a non-judgmental environment, providing countless families with the compassion and support that they need. Our free services include pregnancy tests, limited ultra- sounds, options consultations, STI/STD information, healthcare and community referrals, as well as an extensive program for fathers. APRC is sustained by the generous donations of our ministry partners and by events like this one. Course Info: We are returning to Briarlake Baptist Church with new course through the neighborhood. Packet Pickup: Packet pick-up will take place on Friday, May 4th at Big Peach Running Co in Decatur between 12pm & 7pm. 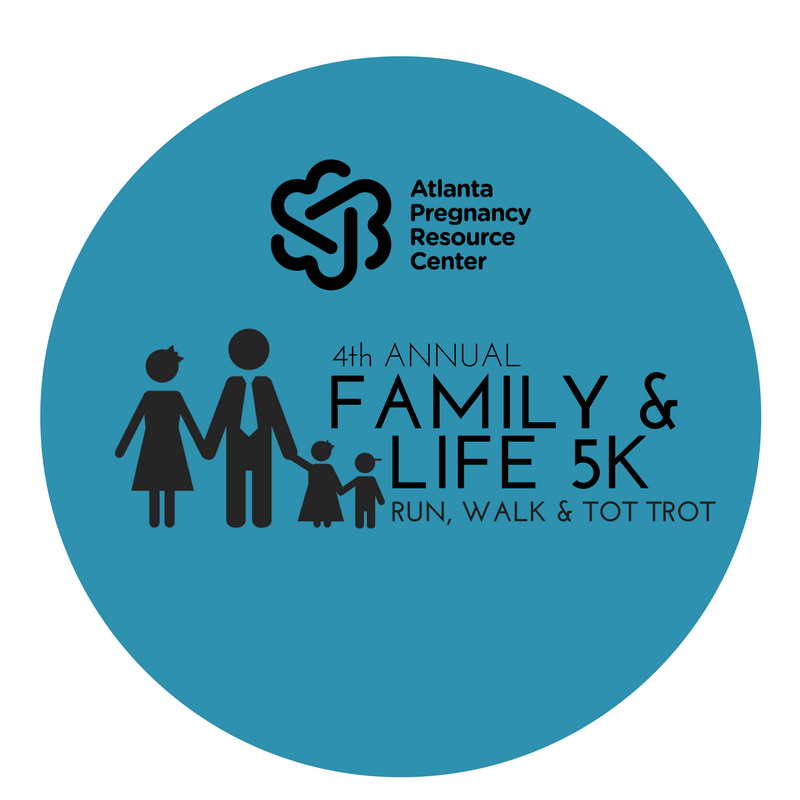 Additionally, participants can pick up their packet on-site the morning of the race at 7:30am. Considering sponsorship? Email amanda.fay.willis@gmail.com for detailed sponsorship information.